Since developing the first professional ‘remote guest’ production solution for the video industry in 2012, we have continued our market-leading innovation with our release of the first multi-guest call-out production system LiveToAir, and our introduction of the ONLY audience focused 'call-in' solution, Call-In Manager. Our products let people fully participate in video productions from any location globally using just their browser and a webcam – providing these remote participants with the same immediacy and engagement that in-studio talent and guests enjoy. We give video producers a range of options for getting the right talent, on the right shows, at the right time – from anywhere they are. We’re glad you took the time to visit. 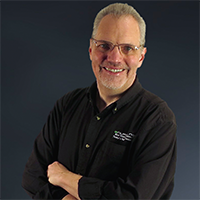 John has over 30 years’ experience as a serial entrepreneur, focused on developing strong sustainable businesses based on internet/cloud technologies. He has strong ties to the New York City startup community, and has been a founding member of multiple successful ventures. 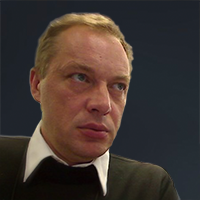 Dmitry is responsible for the development and deployment for all of the product technologies we offer. He has worked with John at several companies over the past 20 years, with technical expertise in a broad range of disciplines.